I didn’t want to be responsible for mentioning this as I am not the project leader nor took part in any of the chapters after volume seven (which I shall be releasing after we catch up with D-Frag! ), but since edogawaconan is too busy, lazy, or ashamed to, I decided to mentioned it. Why did we (the Saki team) drop it? If you have not heard about it already, Saki is getting a sequel to its anime that shall be continuing on the story from the manga, so instead of doing chapters that are going to be animated anyway, the Saki team felt it was useless and a waste of resources. Not to mention, fidzerone isn’t exactly a wizard in mahjong terminology. edogawaconan edit: hahaha thanks for posting this. Yes I’m too lazy. Mainly editing the scripts. Having to edit half-accurate translation with my not even remotely good knowledge doesn’t bode well with me. No, an editor won’t solve this problem. Well, thanks for all your hard work, it was great to read your releases of Saki ! Any chance of posting that batch torrent you mentioned in the last Saki post a few pages back? Possibly with all chapters Anime-RG released, so I don’t have to seed several dozen 5MB torrents for each chapter? Well, for what it is worth, I have uploaded a torrent for chapters 61 to 79 on Nyaa (http://www.nyaa.eu/?page=torrentinfo&tid=241260). I will also continue seeding the single files for a while, since the DDL links for most earlier files are dead. They shall be released soon (within a month). go to arwyn HisaxMihoko web, there are the last chapters. I’m sad that Saki manga is getting dropped but I heard that Saki was getting a couple OVA not a second season. So wouldn’t that sort of fuel the group to continue. Oh well. Thanks for all the hard work. 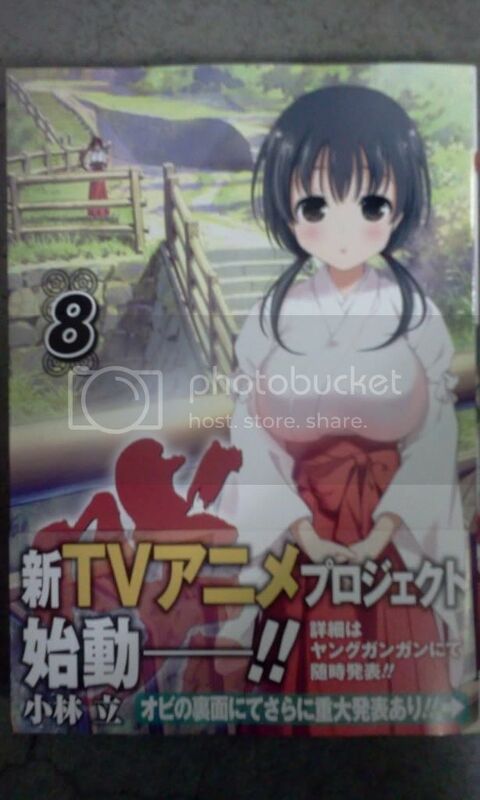 The announcement in the front of volume 8 says “TV Anime” which I believe means a series. Actually the second season of Saki is going to be a spinoff. It will not relate to the manga at all. The protagonist is going to be a totally different girl. Please please continue it. I love Saki manga. I think you may be a bit confused. As far as I have read, the Saki anime is receiving a second season that is a direct sequel to the first season (which was based on the manga, so it’s likely the second season will too) and in addition, a spin-off manga to the Saki manga was announced. 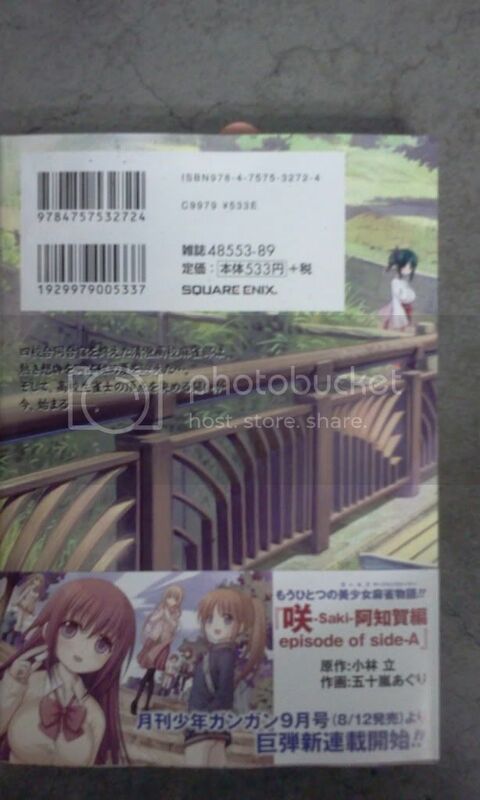 The spin-off manga has no relationship with the second season. It is being drawn by a different artist named Igarashi Aguri, the artist of Bamboo Blade. really sad you dropped saki manga…anyway thank for your hard work! i really enjoyed it! is there any other group taking this project?